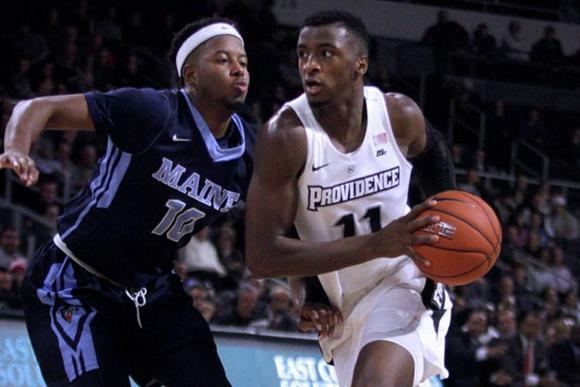 The Providence Friars improved to 9-0 at home and 10-2 on the year with a convincing 20-point win, 79-59 over the Maine Black Bears late Tuesday night at the Dunkin’ Donuts Center in Providence, RI. Emmitt Holt led the way for the Friars, scoring a game-high 18 points and a grabbing a game-high 10 rebounds, notching his 2nd double-double on the season. Providence started the game on an 18-2 run and never looked back, leading for the entire game against an overmatched Maine team. The rest of the scoring was very balanced for the Friars with 6 players scoring 8 or more points on the night. After Holt, the scoring was filled out by Jalen Lindsey (12), Ryan Fazekas (12), Kyron Cartwright (9), Kalif Young (8), and Rodney Bullock (8). Rodney Bullock had his second straight game struggling to get his offense going. He followed up a 3-10 game against Wagner with a 2-11 performance against Maine. Doing some math, that makes Bullock 5-21 in his last two games. His 8 points were a season low. Bullock also turned the ball over 4 times, never looking completely comfortable or in the flow of things. Even some of his shots looked like he wasn’t completely sure in himself while shooting, sometimes taking some awkward placement when pulling up. Bullock was also 0-7 from three. Let’s just forget about this one for him and move on to the next one. Kyron Cartwright spread his stat line out tonight, scoring 9 points, grabbing 6 rebounds, and dishing out 6 assists. Cartwright’s 6 rebounds were a season-high. With the 6 assists, Cartwright has now recorded 6 or more assists in 9 of 12 games. Kyron also showed off his athleticism with this acrobatic finish on the receiving end of a really nice find from Alpha Diallo. Emmitt Holt was basically unstoppable against an overmatched Maine squad. Holt shot 7-10 on his way to 18 points in just 25 minutes of action as he was dealing with a little bit of foul trouble. Holt’s 10 rebounds matched his season-high that he had recorded in the win over Memphis in the Emerald Coast Classic. Ryan Fazekas looked as comfortable as I’ve seen in quite some time. After going 2-10 from three-point range in the previous 6 games, Ry went 4-6 from deep on his way to a season-high 12 points in just 16 minutes. I thought Fazekas looked very active on defense as well. Kalif Young seemed like he was everywhere on the floor tonight. Kalif is only averaging about 13 minutes a game but makes his presence felt almost immediately upon entering each game. He is an impact player out there. Maliek White is my new favorite dunker on the Friars. He’s one of those guys where you think it might be coming but never expect it to. Sort of like whenever Paul Pierce dunks. White also recorded 2 rebounds, 3 assists, and 2 steals to go along with his 5 points. Not to be overshadowed by his dunk, he had a seeing eye look down low to Emmitt Holt as well. Jalen Lindsey was all over the board tonight, grabbing 9, 4 of which were offensive. Aggressive offensive rebounding Jalen Lindsey is one of my favorite Jalen Lindseys. His quickness, size, and athleticism lead to a lot of second chance opportunities. With that exra effort, Lindsey was able to get to the line a team-high 8 times and converted 7 of those 8 free throws. 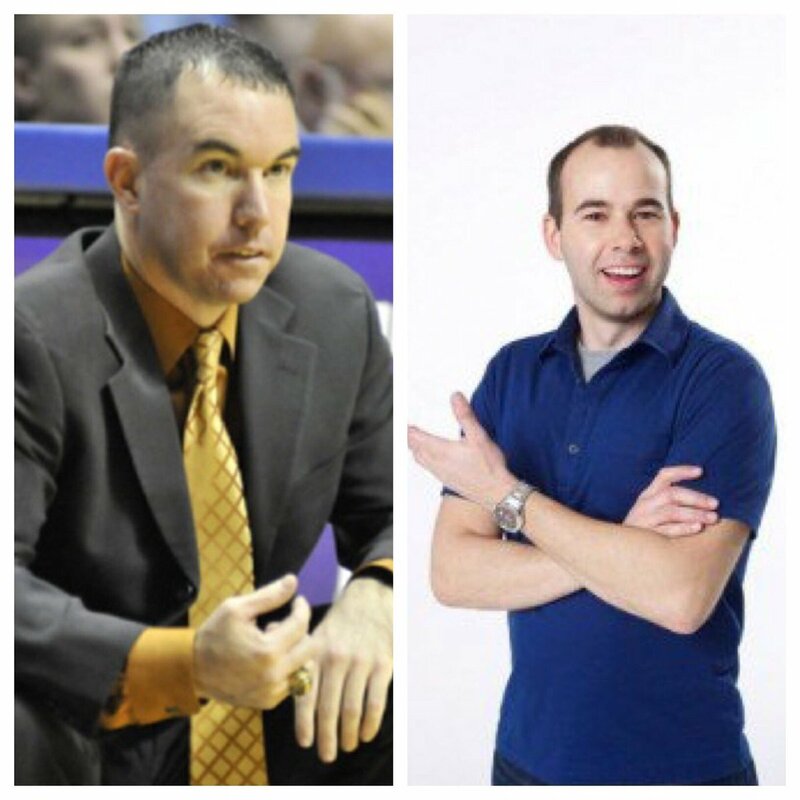 Former Providence Assistant Coach Bob Walsh is now the coach of Maine, and you can’t tell me that he doesn’t look like the dude from Impractical Jokers. I don’t even watch that show and I thought it was him…it could still be a prank. Rodney Bullock has been getting extra work in before every game this year. Here he is hours before the tip tonight. Up Next, the Friars travel to Boston College and take on the Eagles at BC on Friday December 23rd at 4 PM. The game will be on ESPNU.